The shift towards minimalism, towards slowing down and grounding ourselves in a life that is more to our liking - is more than fashionable, it is necessary. Slowly but surely, as one by one we awaken to the fulfillment of a less stressful, lighter-impact lifestyle, so also we lessen our collective stress and the stress of the planet. There is a groundswell of interest in smaller, more sustainable housing and structures. Few can match the ancient 'ger,' which we now call a yurt, for beauty, simplicity, and affordability. Blue Ridge Yurts is a woman-owned and operated company in the Blue Ridge mountains of Floyd, Virginia. We design and fashion the woodworks and sew the canvas to the highest quality standards, and by limiting production are able to offer personalized services and unique design elements that other companies cannot. 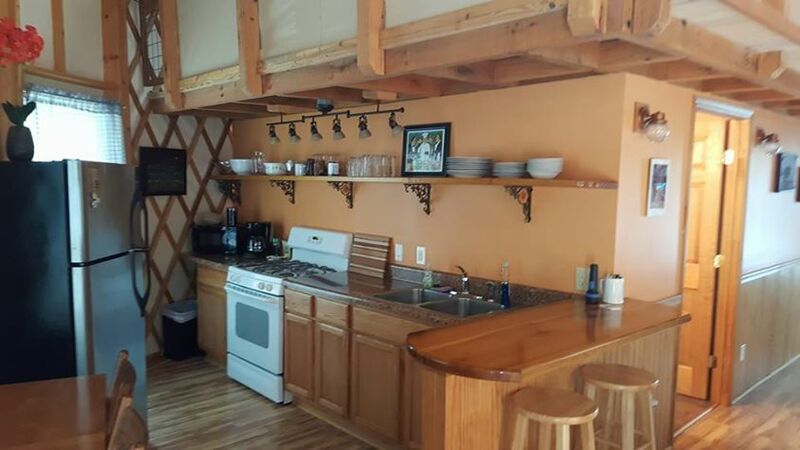 Your yurt can be tailored to include 10' tall walls, allowing for fully livable loft spaces. Our ability to custom sew interior and exterior walls allow you the choice of either vinyl windows or glass windows of your own size and choosing. 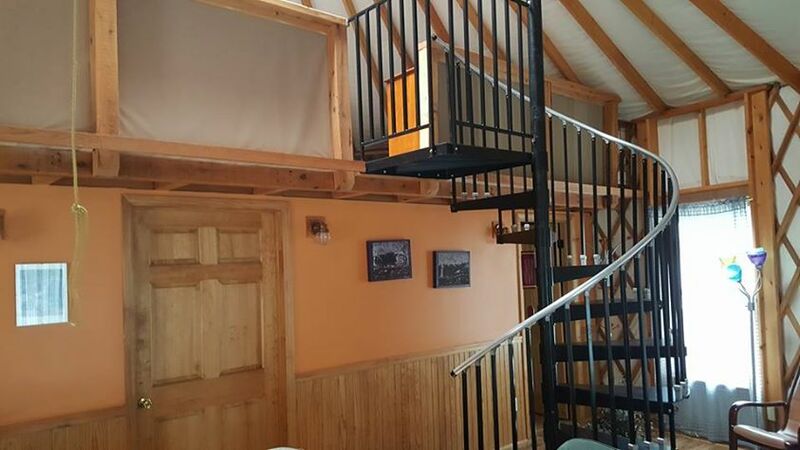 We will work with you to answer any questions you may have throughout the process, and our team is available to assist with any of the steps, from deck planning through to the raising of your new yurt. Blue Ridge Yurts is the #1 supplier of yurts east of the Mississippi. The central location of Floyd makes for convenient pick-up or delivery to the entire Atlantic region. Throughout our years in business, we've built hundreds of yurts for satisfied customers who have used them for private residences, commercial venues, classrooms, studios, Airbnb rentals, and lodgings in State parks across the Southeast. Standard wall height is 7ft 4in. We are the only yurt manufacturer to offer 10ft walls (24' & 30'). We use standard door sizes so that you can provide your own unique door as a savings option or design choice. A stainless steel dome opener with telescoping handle is included with every yurt at no additional cost. Our walls are assembled using stainless steel hardware. A support package comes standard with all but the 16' yurts making shelving and electrical wiring easier and adding stability. We provide beautiful, locally harvested and milled poplar walls. A unique platform design is provided. The thin plywood band that surrounds your platform and contains the walls is included in our kit. We include rain diverters for every door. Stainless steel hardware is standard for domes. We offer the option to substitute standard vinyl windows with glass windows you provide. Yurt tours are available by appointment. Call us at (540) 745-7458 or contact us by email to schedule yours today!